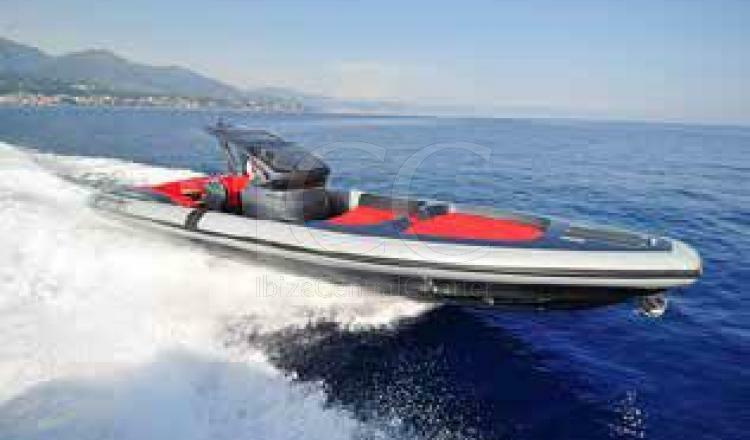 Everything you can imagine in a motor boat: thrilling design, high performance style and maximum comfort. 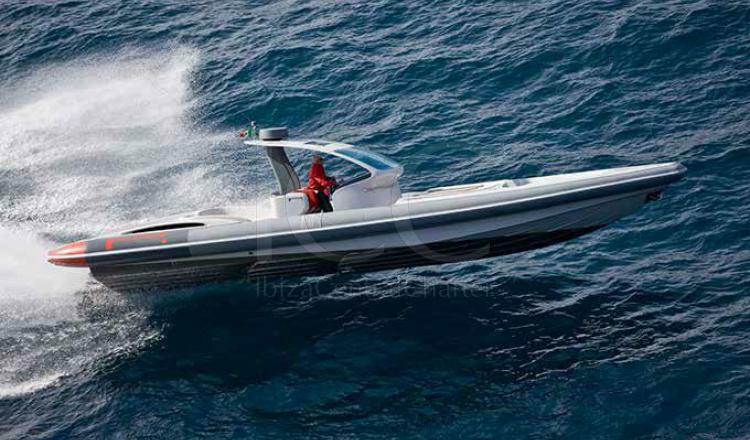 The Pirelli Pzero 1400 Sport is a versatile and safe rib of 14 meters in length. It has a sporty and glamorous design at the same time. And it draws attention to anyone who gives him a look. 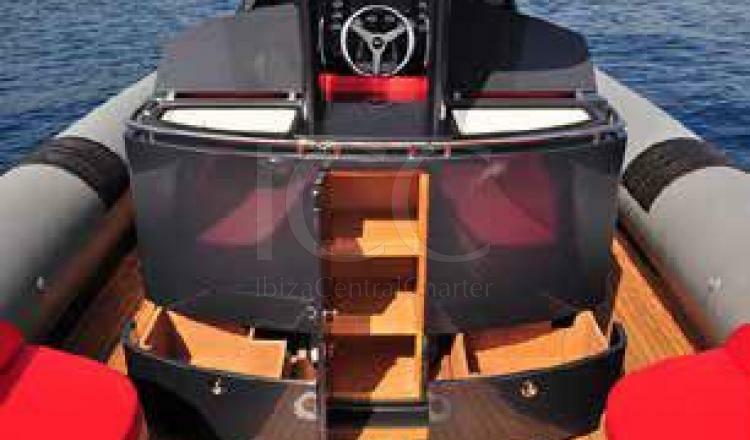 Your bathtub has a large space and is covered in teak wood that increases safety on board and contrasts with the red color of the mats and seats. 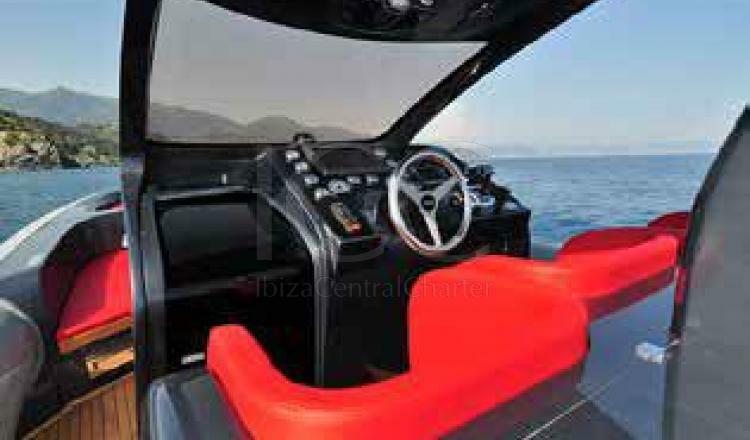 Pirelli Pzero 1400 Sport allows complete freedom of movement both at sea and on board the boat, where a group of 11 guests plus skipper can enjoy a day of charter. On the outside there are two fantastic solariums situated in the bow ideal for sunbathing, as well as comfortable aft side sofas complemented by two mattresses and outdoor table. The command area is equipped with two seats, one for the captain and one for the co-pilot, and has a rigid awning. In addition, it has a large hydraulic platform bath with built-in swim ladder to facilitate access to water. - All risk insurance .